Serena Williams playing at the French Open on June 2, 2018, in Paris. Williams has pulled out of a highly anticipated game at Open that had been set for June 4, 2018, because of injury. It seems that we’ll have to wait a little longer to see Serena Williams dominate on the tennis courts once more. 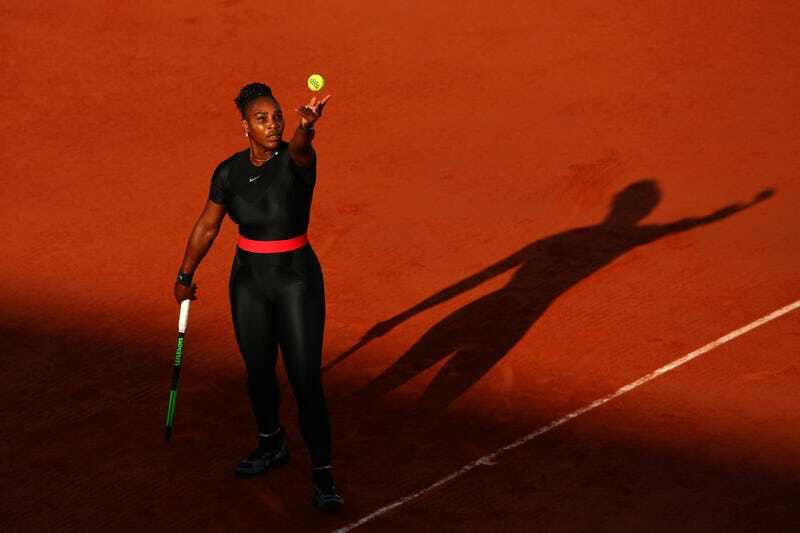 The superstar called off her grand-slam comeback and pulled out of the French Open on Monday because of a pectoral injury shortly before she was due to face archnemesis Maria Sharapova in a highly anticipated match. According to the report, Williams is unable to hit serves because of issues with her right chest muscle. The tennis star explained that she will have to get an MRI and speak with doctors before deciding on her next move. The 36-year-old has been on a mission for her tennis comeback a mere nine months since she almost lost her life after giving birth to her daughter, Alexis Olympia. But on Saturday, during her third-round singles victory over Germany’s Julia Goerges, Williams said that her chest began to hurt. Despite the pain, Williams played in the doubles alongside her sister Venus on Sunday. The sisters lost and were eliminated from the doubles tournament. The star athlete said that she tried to tape the muscle to limit her pain, but nothing worked enough that she felt like she could or should continue her singles matches. Her withdrawal has now reshaped the competition, with Sharapova, who has won the French Open twice, moving automatically into the quarterfinals. Regardless of fans’ collective disappointment, we hope Queen Serena can take care of herself and heal well. We look forward to her crushing the competition again sometime very soon.